JANG, LEGOholicDAN here. I think your reason is sound, your city will look much better with MOCs designed by you, it will look like YOUR city then instead of like you put it some generic unimaginative one. 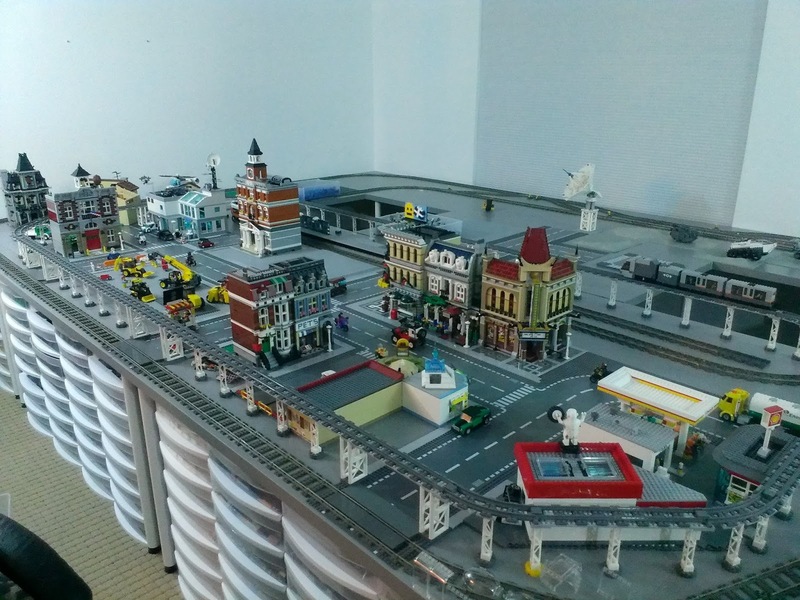 I wish that one day I can build elements that you have in your city for my sons so they can play with it when they are old enough, they are new borns right now so as you can imagine I have no time to MOC! Although, last night was a break through, I broke down the town hall set to build a firestation with pieces from 60004. I have a very small part of my collection here in this country however, approximately 5 kg, while I have 35 kg worth of new bricks and various elements in the former country! I need to improvise more as you can surely imagine, started looking around on bricklink for various pieces like you do but of course in smaller scale purchases. You are living the dream JANG and you have earned it! I also gave up on having the 8 stud wide firetrucks and now attempting to make everything 6 stud as it slides better through the official LEGO garage ports. Wish there was somehow I could share my creations with you, I already made a little firetruck while back inspired by you. Anyway to wrap it up GREAT JOB JANG like always, love your work and personality! Not sure if you need ideas for buildings in your city but here are a few that maybe you have not considered - Veterinarian, health clinic, recycle station, some apartment buildings that are 3-4 stories with the lowest levels being commercial or businesses like small restaurants, arcade, photographer studio, townhouses (would be nice if you implemented some of those famous San Francisco ones) .. anyhow I'm sure your genius has it most already figured out. Can't wait to see what you create, you're the best. I've heard you mention many times that your city will be purely custom made. Seeing LEGO branded sets in your city really does prove your point! Is that a new tandem drum compactor behind the pet store that we haven't seen? I recall reading a post where you said you were going to rebuild the one you did. If I was the one building the city I would build some houses.